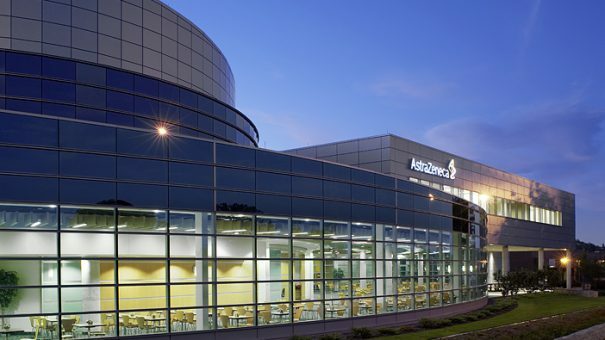 AstraZeneca is looking to file Lynparza in breast cancer – a drug that is forecast to become a blockbuster and is already approved in ovarian cancer. It was a good end of the week for the company, which also got $130 million from Valeant after the ex-AZ drug brodalumab was approved in psoriasis in the US. AZ announced that the phase 3 OLYMPIAD trial produced statistically significant and clinically meaningful improvement in progression-free survival compared with patients on chemotherapy – either capecitabine, vinorelbine or eribulin. The trial was assessing Lynparza, a 300mg tablet taken twice daily compared with physician’s choice of standard of care chemotherapy in patients with HER2-negative metastatic breast cancer harbouring germline BRCA1 or BRCA2 mutations. AZ’s chief medical officer Sean Bohen said this was the first positive result from a drug in Lynparza’s class – a PARP inhibitor – beyond ovarian cancer. Initial findings indicate a similar safety profile to that seen in previous studies, and full details will be presented at a forthcoming medical meeting. AZ said it will be “working with regulatory authorities” to make Lynparza available in breast cancer. The FDA has also approved Siliq (brodalumab) – a drug AZ licensed to Valeant in 2015 – for moderate to severe plaque psoriasis. Under the terms of the deal, AZ granted Valeant exclusive rights to develop and market Siliq globally, although the deal later changed and LEO Pharma now has European rights. Kyowa Hakko Kirin has rights in Asian countries through an agreement with Amgen. Valeant agreed to milestone payments if certain targets are met, and the FDA approval triggered the $130 million windfall. Siliq is one of several drugs that AZ has sold off while it concentrates on developing new drugs in cardiovascular and metabolic diseases, oncology, respiratory and autoimmunity, and infection and neuroscience. AZ could have decided to keep Siliq as it could fall into the autoimmunity category, but sold it on after a safety signal during clinical trials that suggested a link with suicidal thoughts.